Where is a Dentist Near Me for Traditional Care? Where is a Traditional Dentist Near Me? 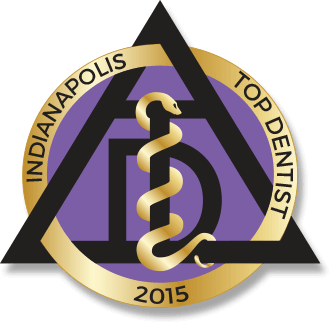 When it comes to choosing a dentist in Indianapolis, not all dentists are the same. Often, your primary choices will be between a corporate dentist or a traditional dentist. While corporate dentists may be supported by a big name, there are a wide range of benefits that come with choosing a traditional dentist. With a traditional family and cosmetic dentist in Indianapolis, you will enjoy far more benefits and comfort when it comes to your oral care. If you are asking yourself, where is a traditional dentist near me? Indianapolis Family Dentistry is the answer to your question. When choosing a dentist, a traditional dentist offers more personalized care as they do not have to meet a dental procedure quota. As a result, the dentist is better able to accommodate your personal needs without the fear of a management team pressuring them to meet certain production and procedure goals. With no one to answer to but their patients, a traditional dentist works harder to build personal relationships with each patient. Your dentist will take the time to get to know you and your oral health needs. As a result, they will take the time to create a treatment plan that best suits your individual oral health without rushing to get to the next patient. A traditional dentist will be supported by a caring staff that will remain the same as time goes on. Each time you walk into the office, you will be greeted by the same welcoming staff you have already come to know and trust. You will not have to worry about your dentist or the dental staff being replaced due to failure to meet performance goals. A traditional dentist can choose the best materials and labs for your treatments—not a management team. Thus, they can ensure the materials used are of the highest-quality. This also helps to ensure care remains affordable as the dentist chooses which insurance plans to use. This multi-tiered level of care ensures all patients are treated equally to receive the utmost quality of care. In addition to working with the insurance plans of their choosing, a traditional dentist can offer flexible financing to make dental care even more affordable. This allows patients to benefit from various financing options, such as Care Credit, to tailor treatments to individual budgets. Traditional dentists often become a fixture in the community because they become longstanding, trusted dentists. With care personalized to each patient, not a return on an investment, you will benefit from a dental practice that is owned by the actual dentist who cares about his patients. If you are ready to experience a different side to dentistry with a traditional dentist, Indianapolis Family Dentistry is the dentist for you. Our practice is privately owned so you will not have to worry about a big corporation having a say in your dental care. You will benefit from the best personalized care possible with Indianapolis Family Dentistry. Comments Off on Where is a Traditional Dentist Near Me?